Silverstone Circuit is releasing 1000 tickets to the 2015 Formula 1 British Grand Prix which can be purchased for just £99 each. The tickets will go on sale at 0900 on Wednesday 28 January and will be sold on a first come first served basis. The £99 ticket is an adult general admission ticket for race day on Sunday 5 July. Silverstone have also introduced a policy to encourage families to attend the event by reviewing ticket prices for children. Children aged 10 and under can now attend the whole weekend free of charge on a general admission ticket and children aged 11 – 15 can attend race day for only £49. 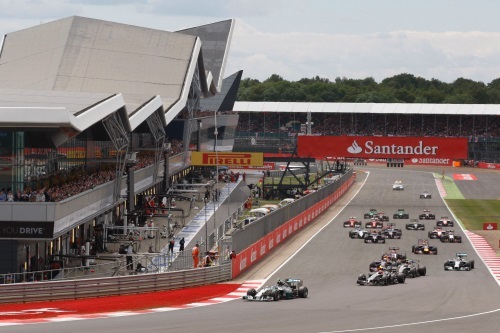 Silverstone’s Managing Director, Patrick Allen, recently pledged to make the British Grand Prix more affordable for 2016 and the response was so overwhelmingly positive that he has introduced more attractive prices for certain categories on a limited basis for this year’s event. Customers who have already bought their Sunday General Admission tickets for the 2015 event will be contacted by Silverstone and upgraded to a grandstand seat.